When you set these kinds of demands on breeders you are limiting yourself drastically, but that doesn’t matter to us. We are extremely pleased with how big the company is today and we see no need in growing much more. We don’t want vast chicken factories, we want to continue providing precisely what we do today, the country’s best chicken. Lassagård Farm has been breeding chickens since the 1970s. The farm is today run by David, a third generation farmer at Lassagård. That David would take over the running of the farm was not a foregone conclusion, he actually trained as a development engineer and had a career that took him all over the world. After years of travelling around he decided he’d had enough, and returned home to take over the family farm. He is now a full time farmer and runs Lassagård together with his partner Hanna. 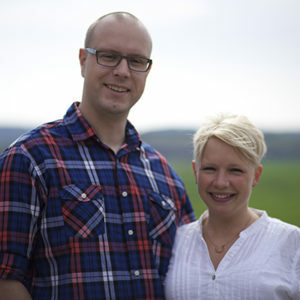 Olof and his wife Monica live on the beautiful Lis Gård Farm. The farm has been in the family since 1628 and has been farming and managing the forestry for generations. A beautiful old brick building, previously a potato store has been turned into a modern, higher-welfare poultry shed. Here, and at Bjärefågel’s other breeders, the chickens roam free throughout the breeding process. Olof is proud to be a Bjärefågel breeder. He appreciates our concept of small groups and long production times and not least the fact that we have Coccidiostat-free feed. He can quite simply breed chickens with a clean conscience. Hans is passionate about animals and wildlife. He is a true visionary and focuses on the environment, sustainability and future generations. By thinking about the future and not worrying about cost, he has created a modern farm with low energy consumption and his own wind power. He prioritizes good animal husbandry, as do we, which is why he decided to supply to Bjärefågel. According to him it was an easy decision, and as he says, “That’s how animals should be treated”. Kristoffer is a young man with farming in his blood. 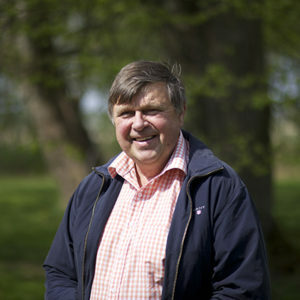 Kristoffer’s grandfather started the farm many years ago and Kristoffer is managing it well. Bölse Gård Farm has been breeding chickens for more than twenty years, and in addition to the chickens also breeds pigs, has a machine station and grain crops. Bölse Gård Farm also has a popular farm shop, that is run by Kristoffer’s sister. Malin, Daniel and their four children live at Olastorp, in the middle of Bjäre. The farm not only breeds chickens, but also vast potato crops. Lots of them become crisps that are sold in the farm shop. 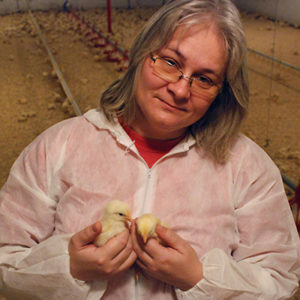 Malin’s father-in-law started breeding chickens, but Malin liked Bjärefågel’s concept and thought that it would be a great complement to farming crops. They now have their own poultry shed at Olastorp and the entire family is involved with everything from inspection to upkeep.